When you arrive for your first appointment you will be greeted by a friendly staff member, given an intake form to fill out (if you haven’t already done so), and asked to have a seat in our bright and sunny reception area. We will discuss your health history and health goals. We will perform a thorough physical examination that will include assessment of your posture, joint ranges of motion, muscular strength and neurologic status. If imaging is required prior to your first adjustment you will be sent to your general practitioner for a requisition. We will explain all of your exam findings and answer any questions you may have. 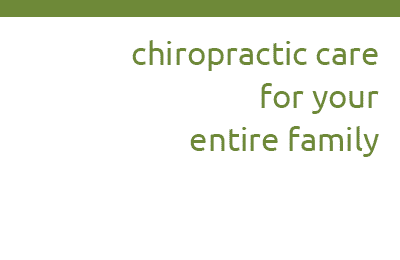 Once we determine if you are a good candidate for chiropractic care, we will begin with your first adjustment. Please wear comfortable clothing and be prepared to be at our clinic for up to 60 minutes. Your second chiropractic appointment is called your “Report of Findings.” This appointment is where the we will go through all exam findings, answer all the questions you may have from your previous appointment, discuss your goals and provide you with a treatment plan geared towards a speedy recovery and optimal function. Please be prepared to be at our clinic for up to 20 minutes. Now that the we know your case history and have created an individualized treatment plan, visits from this point forward are much quicker allowing you to get on with your other daily activities. Please be prepared to be at our clinic for up to 15 minutes. We look forward to meeting you and helping you achieve a healthier and more vibrant life!